Nobody said it would be easy. But hey, you’re not looking for easy. You’re running side hustles on top of side hustles, proving women can be bosses too. And well, we are proud of you. 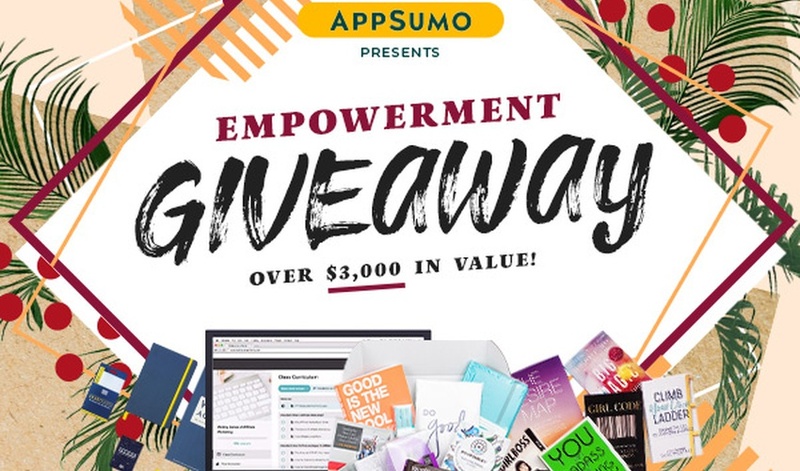 That’s why we’re partnering with Sparkle Hustle Grow and a few other female entrepreneurs to give one lucky Sumo-ling a chance to win our Empowerment Giveaway! The AppSumo giveaway is here to help you take your business to new heights. 1 year subscription to Sparkle Hustle Grow — The ultimate subscription box for female entrepreneurs. Who doesn’t love a surprise waiting on their doorstep everything month? For your chance to win this prize package, all you have to do is click the "Enter Now" button and submit your email. The best part is you can increase your chance of winning by sharing this giveaway with your friends and on social media! So what are you waiting for? Enter this giveaway now!